The root canal filling enables the patient to keep a damaged tooth by removing the pulp (the live part of the tooth), cleaning and shaping the canals, then filling them with a special filling material. 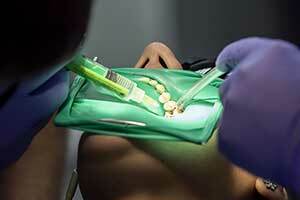 When a tooth is badly diseased, infected or decayed, it may need a root canal filling. A tooth that has had a root canal filling should behave and feel just like regular teeth, although they may not be quite a strong as they were original. The treatment is usually performed over two dental visits and under local anesthetic. It’s a more complicated procedure than a normal filling since the dentist goes much deeper into the tooth to remove damaged pulp and bacteria. The process takes longer and involves specialist equipment and training. It’s normally a highly successful procedure, with over 90% of patients having no further trouble. Occasionally, however, things can go wrong for various reasons and the treatment can fail. 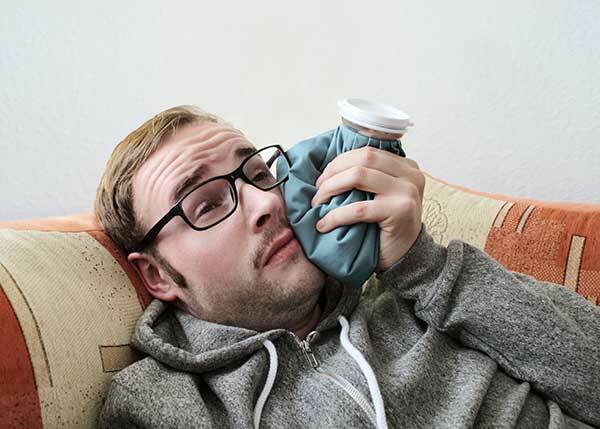 Afterward, because the dentist drilled deeper into the tooth to clean and repair the damage, you may feel some pain for a few days afterward. This is a normal physical reaction to any procedure as the body begins to heal itself. The discomfort can range from a dull, aching feeling to a sharper pain although it’s not usually severe enough to prevent you going about your daily business. Just occasionally, some bacteria may have been left behind during the cleaning process and, if this happens, it can reproduce and cause problems. Warning signs to look out for include if the tooth feels fine then starts to hurt again. Don’t wait to see what happens, but contact the dentist for a follow-up appointment so he or she can investigate. Further treatment may be necessary. Some teeth have complicated canal systems, which make it harder for the dentist to treat all of them effectively. Some forks or branches in the canal system can be a minute and are easily overlooked. It’s possible the dentist is unaware that they’re even there. Unfortunately, even microscopic canals are susceptible to infection and if they’re not cleaned and filled, they can cause problems in future by becoming infected. The root canal treatment creates a seal in the root that prevents bacteria re-entering and creating more infection and irritating the tissues around the tooth’s root. Over time, the materials used in filling the root can deteriorate or break down, which leaves the area susceptible to infection once more. It’s important that the second, permanent filling is completed as soon as possible after the first, temporary filling was completed. This is why it’s so important that temporary fillings and seals are replaced with permanent ones as quickly as possible, certainly within three weeks of the first step in this two-part dental process. Make sure you schedule your return visit as soon as possible. Your own dentist is, of course, the best person to evaluate any problems you may have, as he or she knows your full dental history and the treatment you received. However, problems can and do occur out of hours. We are able to investigate complications arising from root canal fillings, and can give pain relief and advice or treatment. If you’re having trouble or pain and your own dentist is closed, SignaturCare is here to help.